Since its revamp a couple of years ago, the INFINITI Q60 has been the standard bearer of what a luxury sports coupe is supposed to be because of its combination of high-performance driving capability with a feature lineup that’s fully loaded. But there are some changes made for this coupe that lets you enjoy more. For starters, the 2019 INFINITI Q60 PURE now comes standard with the award-winning 3.0L V6 twin-turbo engine that delivers 300 hp & 295 lb/ft of torque. That same engine comes in the LUXE trim, but the RED SPORT 400’s 3.0L V6 ups the ante to 400 hp & 350 lb/ft of torque thanks to its turbo speed sensor & dual intercooler water pumps. 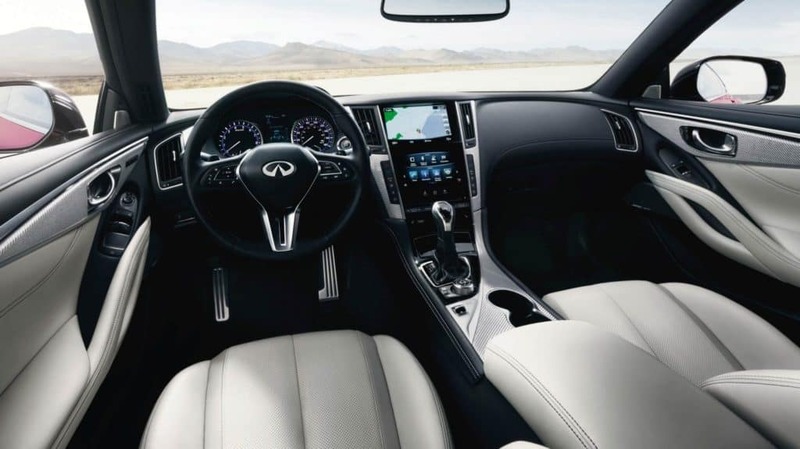 The 2019 INFINITI Q60 LUXE also adds forward emergency braking that alerts you visually & audibly when it feels you’re approaching the car in front of you too quickly and will partially apply the brakes to help prevent a collision. Pedestrian detection & predictive forward collision warning, which senses when the car 2 vehicles ahead of you is slowing down, are also onboard. The high-performance 2019 INFINITI Q60 RED SPORT 400 also receives a few updates. For one, forward emergency braking with pedestrian detection & predictive forward collision warning now comes standard to help prevent accidents on highways like the NJ Turnpike, Garden State Parkway and Routes 80 & 287. Last but not least, new-for-2019 black painted mirror caps have been added to the Q60 RED SPORT 400. Other distinct design cues for this high-performance model include exclusive exhaust tips, 20″ aluminum–alloy wheels, red “S” exterior badging, aluminum-accented sport pedals & sport brakes with red-painted brake calipers. 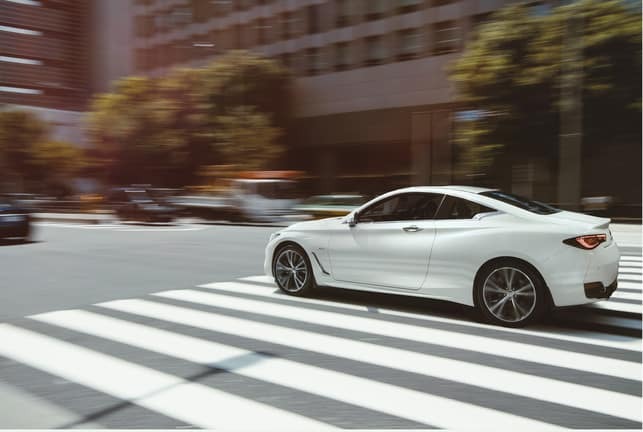 Ramsey INFINITI will help you find the right 2019 INFINITI Q60 to meet your specific driving needs, whether you need a fun coupe for your daily commute or like to take extended road trips on the highway. 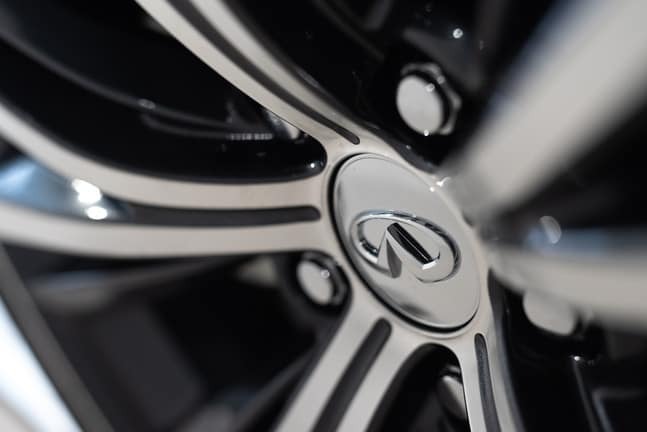 Contact our team now to learn more about this luxury car or to schedule your Q60 test drive! Our dealership is located on Route 17 and is just minutes from the border of Bergen County New Jersey and Rockland County, New York.